1. What are your views on the current morality of our Malaysian citizens and why do you think this is the case? 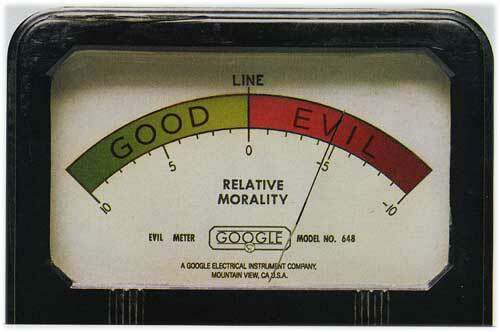 Morality comes from the word "more" meaning "social custom." As such, each society will have its own culturally specific, and ethno-specific, preferences and traditions. None of these traditional social customs is immutable, that is, social mores change with changing economic, educational, and technological conditions. Therefore, "morality" is NOT, in my view, a relevant issue. HOWEVER, what we're really talking about here is the question of ETHICS. Ethicality - the innate sense of what might be called "decent" human behavior, particularly in terms of interpersonal interactions, is a universal concern and has validity beyond the confines of cultural imprinting, and beyond economic, political, social, ideological, and biological considerations. Very few human beings on this planet are imbued with an ethical core; simply because the majority of humans are akin to farm animals, kept in a state of abject ignorance and powerlessness to alter their own destiny in order that their energy, their vitality, and their experiential data may be "harvested." Among the few who have somehow broken through their cultural and social programming and attained an ETHICAL sense (which is often accompanied by the evolvement of an AESTHETIC sensibility), there is a strong possibility of these rare individuals gaining sufficient self-awareness to ultimately achieve self-mastery. Self-mastery implies that the individual no longer refers to any EXTERNAL AUTHORITY for instructions as to how to behave towards others. The "moral authority" is fully internalized in that the individual is no longer an ethical infant, but has indeed attained the intellectual, emotional, and spiritual maturity to govern himself or herself from the highest and most universal perspective available at any given moment. From this standpoint, few Malaysians - indeed, few human beings, regardless of nationality - have any notion of "morality" that has not been inculcated or indoctrinated into its behavioral programming by an outside source - whether parental, societal, governmental, or ideological. These externally imposed concepts of morality are generally control mechanisms designed to make people easier to manage as statistics rather than as individuals. They often have absolutely no basis in organic reality and function purely as BELIEF SYSTEMS. As such, they are quite unnecessary and irrelevant to existence itself, but serve the hidden agenda of the Elite or ruling class. When people refrain from certain behaviors out of fear of punishment, that is a sure indication that they have yet to acquire an ethical sense. Their fear of "breaking the law" and incurring "the wrath of God" or being penalized by the Law is what governs their actions. The more perceptive individuals who quickly learn that their parents and governments and spiritual leaders are inclined towards hypocrisy as a way of life ("Do what I say, don't do what I do!") will be prompted to break the taboos and behave in antisocial or criminal ways - but they will do so furtively because "getting caught" would mean severe punishment. Any attempt to "correct" their negative behavior can only result in more laws and more vigorous law enforcement, which ultimately strengthens the totalitarian state we might describe as "Big Brotherism" rather than enhance people's ethical sense. In effect, the question you pose has to be rephrased differently if you desire an authentic answer instead of a superficial, programmed response. I suggest you work with this question: WHAT IS THE ESSENTIAL DIFFERENCE BETWEEN "MORALITY" AND "ETHICS" - AND ARE MALAYSIANS, SPEAKING GENERALLY, AWARE OF IT? 2. In your own point of view, do you think that there are any groups of people who need increased moral policing and why? The phrase "moral policing" is offensive to me, but let's not quibble about semantic niceties here. In general, the stratum of society most often in need of ethical resensitization is the so-called "ruling class" (which includes hereditary rulers, politicians, bureaucrats, and the uniformed personnel employed and trained to protect their private interests). This widespread condition of hypocrisy has its origins in the distortion of truth stemming from a long history of political power coups whereby authentic authority has been systematically usurped by "pretenders to the throne" - in other words, those least qualified to rule (because they have yet to master themselves) are usually the ones most determined to seize power and pose as "moral authorities." No mature community would tolerate such a gross abuse of vested authority and power. Agencies such as JAWI are infested with hypocrites and serve only as a haven for acutely aberrated individuals. They definitely serve no constructive purpose and we would do well to abolish them completely. 4. What do you think is a better solution to address such situations and why? There is really no problem and therefore no "solution" is called for. People everywhere will do what pleases them in the way of recreation - and, so long as their activities do not impinge on other people's civil liberties or become destructive, it's nobody's business what anybody does to amuse himself or herself. 5. Do you think the state or private bodies should be responsible to develop better ways to deal with those situations? Ultimately, the state itself is an abstraction which exists only as a cover for criminal usurpation of the individual's divine right of self-governance. With clarity of mind, these "social issues" publicized in the press are red herrings, non-issues, and merely serve to distract the public from REAL problems, e.g., environmental degradation and the ruthless abuse and exploitation of "lower" lifeforms - whether these be categorized as the "less privileged" or "those not of voting age" or (in a patriarchal society, the female gender), or non-human species as a whole. 6. Do you think there are weakness in our current moral laws and why? There is only ONE authentic, universal moral law and it simply states: DO UNTO OTHERS AS YOU WOULD BE DONE BY. All other "moral" rules are arbitrary and utterly useless; and, as such, irrelevant to life and deserve to be abolished or repealed. 7. Do you think our moral laws need corrective measure or changes to be implemented to meet the current society's needs? 8. Do you think the State should be given some power to enforce these moral laws and why? The so-called State has already abrogated unto itself way too many powers. What matters are human beings, indeed, all living beings - not artificial rules and regulations invented to conceal criminal abuse of power usurped from the inherent divinity (the God self) within each entity. Each of us as incarnate Souls ultimately has no evolutionary alternative but to accept TOTAL RESPONSE-ABILITY for how we experience "reality." 9. Many NGOs have campaigned for certain moral laws to be repealed and demand that the State should have no role in policing morality. Do you think this is fair proposition to all parties concerned? The NGOs are on the right track but have yet to find the right tack. Rather than engage (and waste) their energy on "doing battle" against the "power structure" they will serve themselves and others far more effectively by paying closer attention to their own evolution as sentient beings, with the focus on attaining levels of consciousness some may describe as Buddhahood or Christhood. 10. To your own reasoning, why did you sign the Joint Statement and what do you hope it can achieve? 11. What do you believe constitutes a moral society? One in which each individual has attained "enlightenment" or Buddhahood and then evolved to the next level of spiritual maturity which some choose to call "Christ consciousness." As such, the "moral society" is constantly evolving and when the point is reached where enough individuals have reclaimed their sovereign power and freed themselves from external controls, the concept of external government will cease to exist - and ETHICS will be a "hardwired" integral component of our Operating Systems. 12. What do you think Malaysians and even yourself can do to bring improvement to the situation? Ask the questions you have asked in this electronic interview and allow for the widest possible spectrum of responses. In short, we simply have to take time out to ponder the basic existential conundrums - preferably free of the corruption and distortion of institutionalized belief systems, i.e. religious doctrines. 13. Any last words or thoughts? Enjoy the infinite possiblities of being in freedom and joy!